Richard calls upon a wealth of experience working for a member association, having worked for the HAE since 2012. 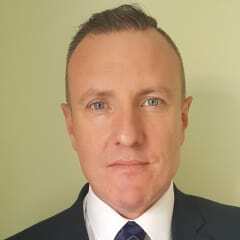 Prior to joining the HAE, Richard worked for Building Software Ltd and Unisys in various operations roles, and before that worked for HSBC in training and implementation. He will be based in IPAF’s UK Head Office in Cumbria. Tim Whiteman, CEO of IPAF, says: “Following an exhaustive recruitment process, we are delighted Richard has accepted the offer to take up the role of UK Market General Manager; his skills-set and experience is just what we need to develop our organisation in the UK and deliver an even more dynamic set of benefits and services to members.